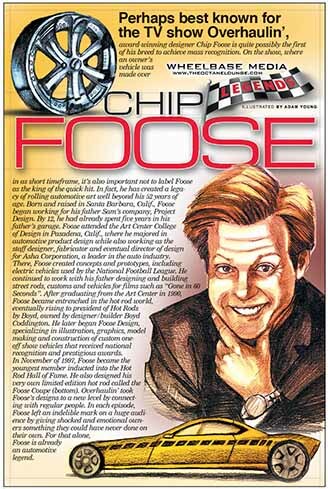 Perhaps best known for the TV show Overhaulin’, award-winning designer Chip Foose is quite possibly the first of his breed to acheive mass recognition. 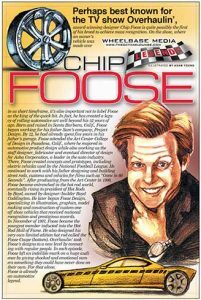 On the show, where an owner’s vehicle was made over in a short timeframe, it’s also important not to label Foose as a king of the quick hit. In fact, he has created a legacy of rolling automotive art well beyond his 52 years of age.